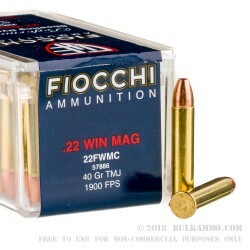 Whether you’re gearing up for a fox hunt, or just headed to the range for some afternoon target practice, Fiocchi’s 22 Win Mag will treat you right. 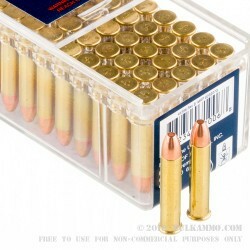 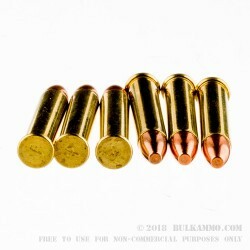 This round is equipped with a 40 grain, jacketed hollow point bullet, which is designed to expand on impact. 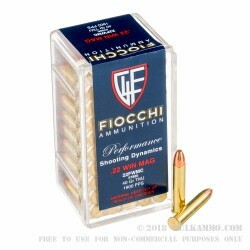 This expansion, combined with traditional Fiocchi accuracy, will lead to a quick and straightforward hunt.